Thanksgiving – jen wewers, m.div. Oh friends, there is so much to be grateful for. I awoke at 6am and accompanied by my faithful friend Cody spent a few hours finishing the preparation for today’s dinner. 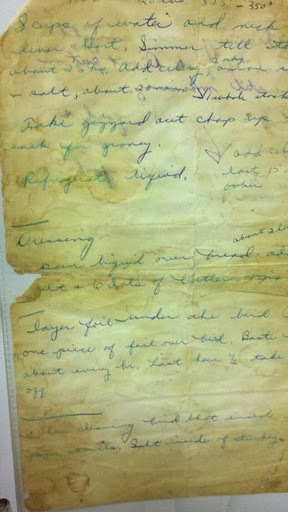 Last night I posted on Facebook the picture of my grandmother’s handwritten Thanksgiving Holiday recipe.The paper has grown thin and worn, with grease spots from years of sitting on the counter as holiday meals were cooked. Butter melted, broth splashed and turkey fat dripped. 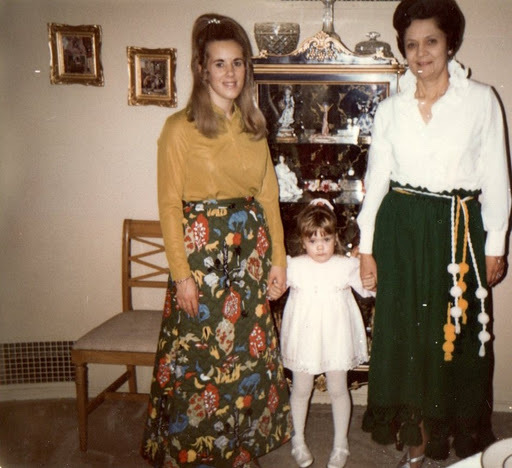 I think about those quiet times Ma Mere spent on Thanksgiving mornings. I know the bulk of the recipe came from my great grandmother, Maria Glaser Goetz. .I imagine her making stuffing with homemade bread, the butter from her farm, and a turkey stock that had cooked for hours. My mom shared many stories of watching Great Grandma go out and get a chicken and kill it for dinner. I imagine this tiny German woman doing the same thing with a turkey. 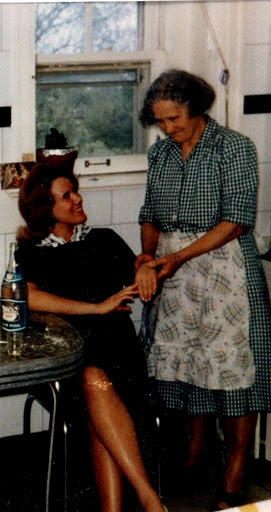 Ma Mere probably changed the recipe to include store bought bread as that became more prevalent and eventually Lipton Onion Soup Mix replaced the homemade broth. My mom always followed Ma Mere’s recipe closely. The meal I cook today is connected to three generations who came before me and have now gone on without me. But as I mix the broth with the bread, add the butter, and stuff our turkey, I feel them around me. Behind me, above me, next to me. They help me stir, measure, fold and carry. They gently remind me – this time of preparation is sacred – as women, mothers, daughters, granddaughters, and great granddaughters. is in memory of them. Thanks Holly. I hope it was lovely for you.